The new £10 note celebrating Jane Austen has received criticism on the 200th anniversary of her death due to the quote chosen to adorn it. The quote reads: “I declare after all there is no enjoyment like reading!” – but many have pointed out the character who says this line in Austen’s Pride And Prejudice wasn’t being sincere. The line is delivered by Caroline Bingley in the 19th Century classic, a minor antagonist in the novel. Bingley only says the line to try to connect with Fitzwilliam Darcy, whom she would like to marry and is reading a book at the time. Austen writes that Bingley is “quite exhausted by the attempt to be amused with her own book” and only chose it because it was the second volume to Darcy’s. Really enjoying the irony of the #JaneAusten quote featured on the £10 note I'd like to think Austen herself would have had a giggle, too. 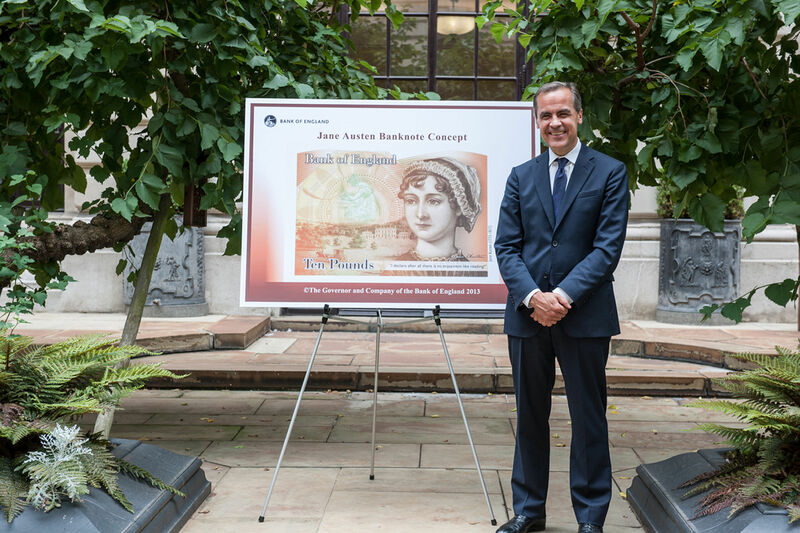 When asked why this quote was chosen, given that Bingley was not keen on reading, Bank of England Governor Mark Carney replied: “It’s two things; it captures much of her spirit, that is the quote, you can read it straight, there is no enjoyment like reading, and we agree with that. I quite like that the 'Austen' quote on the new £10 note works on multiple levels. That is a good thing. (Please don't @ me). However with question marks surrounding the quote on the note, which goes into circulation on September 14, inevitably some decided to come up with their own suggestions. Some took inspiration from internet memes. Meanwhile, one decided to make wholesale changes to the note to make their political point. Pride And Prejudice was published in 1813, and other Austen classics include Sense And Sensibility – published in 1811 – Mansfield Park, Emma, Persuasion and Northanger Abbey. While her work gave her little personal fame during her lifetime, Austen’s novels started appearing on university reading lists around the start of the 20th century, with many films later exploring the themes of her writing.